Telecoms company eir has announced that it is to bring up to 950 customer service jobs that had been outsourced, back in-house again. However, hundreds of employees of the outsourcing firm face the choice of either relocating or taking redundancy. Until now services at eir's contact centres had been managed and provided by staff of Indian technology firm, HCL Technologies (HCL). 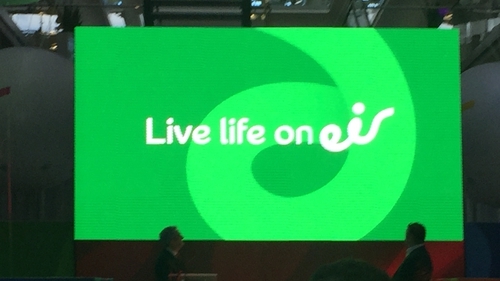 However, eir says its revised business strategy under its new majority shareholder, French telecom firm NJJ, is now to have more direct engagement with its staff and customers. As a result it has taken the decision to move the customer contact service back inside its own operation. HCL will, however, continue to provide non-voice services to eir, such as web-chat and back office services, eir says. The plan, which will be implemented over six months, will require many existing HCL staff to relocate or take redundancy. 300 staff working in HCL centres in Cork, Limerick and Citywest will move over to the former state-owned telco directly under the Transfer of Undertakings Directive that governs how staff should be treated when a company's business is transferred to another. However, the HCL office at Telephone House on Marlborough Street in Dublin city centre will shut in the first three months of next year. 650 staff working there will also have the option of moving to other roles in eir. But these will be based in Cork, Limerick or Sligo. Alternatively they can take redundancy from HCL. eir's Managing Director of Customer Operations, Timothy Spence, thanked HCL and its staff for their support. "The considerable contribution made by our employees is highly appreciated and we shall be consulting with them and their representatives," he said. "We will be supporting all of our employees throughout the process and look forward to continuing to provide a number of important services to eir." The Communications Workers' Union has reacted angrily to the news. CWU General Secretary Steve Fitzpatrick said, "the failure of both HCL and eir to be upfront with workers on the future of their jobs, the numbers affected, the terms they propose for exit packages, timelines, and what other arrangements they are making to provide these services, is unacceptable. Workers have endured months of anxiety and distress at the speculation of significant job losses without any formal communication from either company."